The LKV was 30 years old. Congratulations! 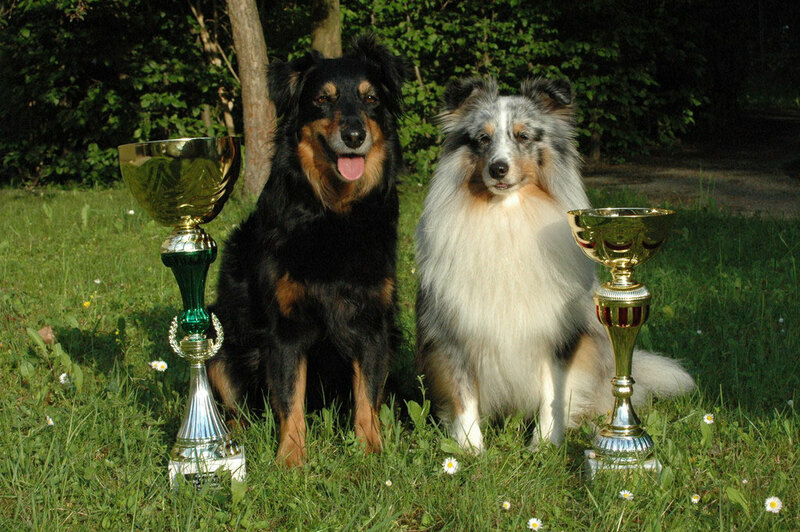 On this occasion the dog school organized a party and in addition to the course examination, there was also a subordination tournament. Jack started for the first time in class "Subordination 1" and got an excellent and a beautiful bronze medal. Jack got the second place in the tournament and got a great trophy. 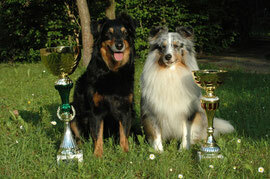 Well done my little sheltie boy. Pearl is our subordination freak and was in top form. (although I hardly never practiced with her) She started in class "Subordination 2". In the course examination, she also got an Excellent and a silver medal. At the tournament she won the sensational first place and got the tournament trophy. My mouse is just the best.